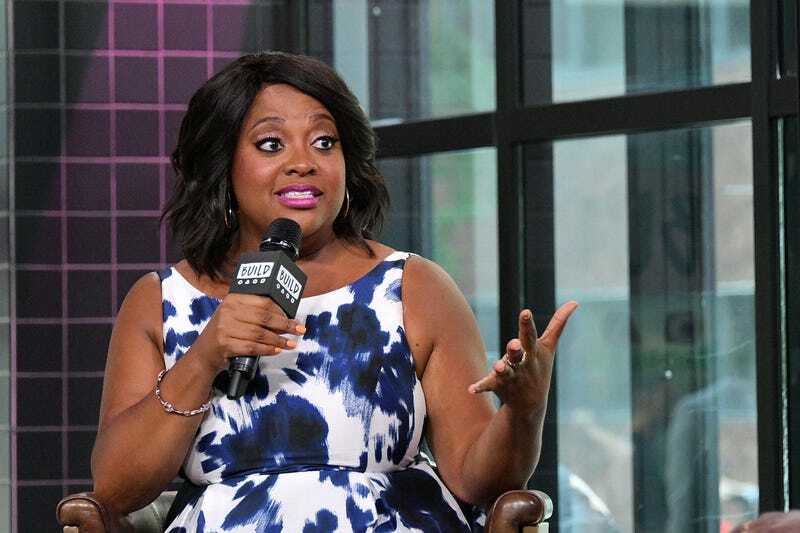 Actress/comedian Sherri Shepherd visits Build Studio on July 16, 2018 in New York City. Shepherd told the hosts of the morning show that her 13-year-old, Jeffrey, doesn’t like black girls because he thinks they’re mean. Shepherd explained that he doesn’t have this problem with the white girls because they greet him and want to play in his hair. “I learn a lot about men from my son. The little Black girls get mean with him. Sometimes they don’t want to speak [and] sometimes they act crazy. And he’s like, ‘Why they act so crazy?’ and I’m like, ‘I don’t know.’ So I keep trying to tell the little girls to be nicer so he can come towards you. But the other girls see him and they go, ‘Hey, Jeffrey’ and they wanna feel his hair…,” Shepherd said. As a black girl, I know we can be a bit animated and some may say dramatic, but does that make us mean? While on the show, she asked the hosts about what she should do about the colorism forming in her son. Charlamagne Tha God suggested that she should expose him to strong male figures, while Angela Yee suggested she bring him around other teens who look like him.